The wild print. Fun, huh? This month’s project was a shirt for Michael (aka The Beloved Spouse). And as I was thinking about how I was going to write it up, I found myself indulging in some introspection on why I sew in the first place. Frankly, buying our clothes is a whole lot less aggravating and probably cheaper, too. And the shirt didn’t turn out like I’d envisioned, which is what generally happens when I make something, so you’d think I’d be used to it by now. Part of the problem is that I have no patience. I hate ripping out seams and will live with stuff I shouldn’t simply because I don’t want to re-do it. I frequently rush through a project either because I need something to wear or, more often, I’m just sick of working on it. So why am I doing this? I think it’s the creativity. I love matching fabrics to designs, coming up with some new way to do things. 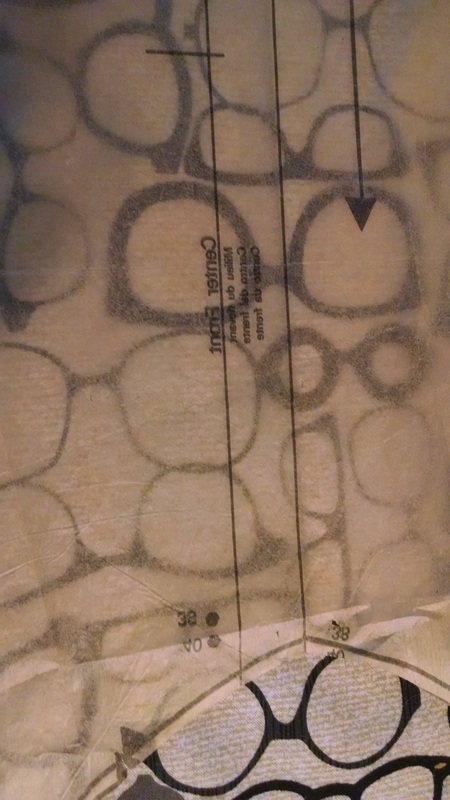 Laying out a pattern used to be my least favorite part, now it’s my most favorite. At that point, I haven’t really messed anything up and I can see what my new garment should look like. So the hope is still alive at that point. 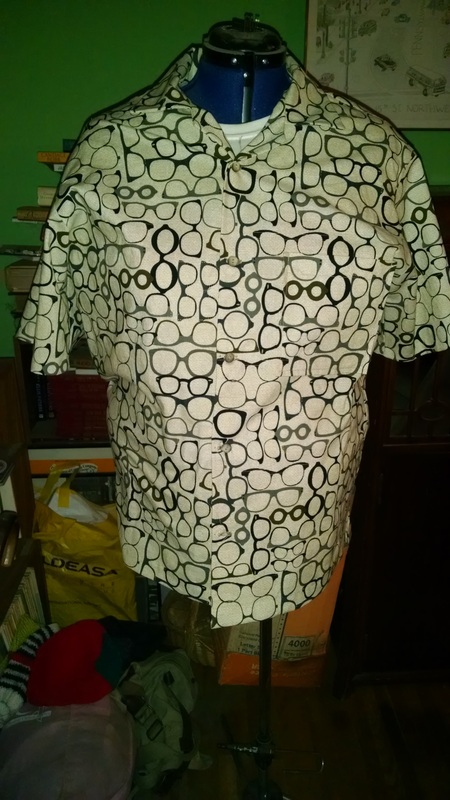 Plus, there’s always something to learn, even in making a simple bowling/Hawaiian-style shirt, like this last one. Quick background note – this was Michael’s Valentine’s Day gift – and instead of just making it, I let him weigh in on all the different aspects, choosing the fabric, which also meant choosing the style. 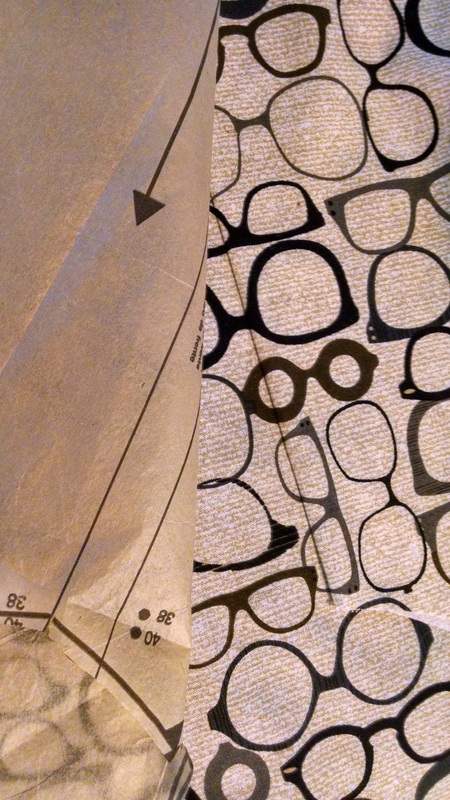 I’d found the cotton with the eyeglasses print on it online while looking for something else. We both loved it, so that’s what Michael picked, never mind the six other fabrics I had for him to choose from. Choosing the wild print meant that this was going to be the simple sport shirt (bowling shirt/Hawaiian-style shirt). It also meant that I was going to have to practice matching the fronts. This is thanks to our friend Mr. L, who gets really picky about pockets and fronts lining up on his Hawaiian shirts. And not that he’d fuss about anything I did, but it’s in my brain now. Have to make the fronts and pocket line up. 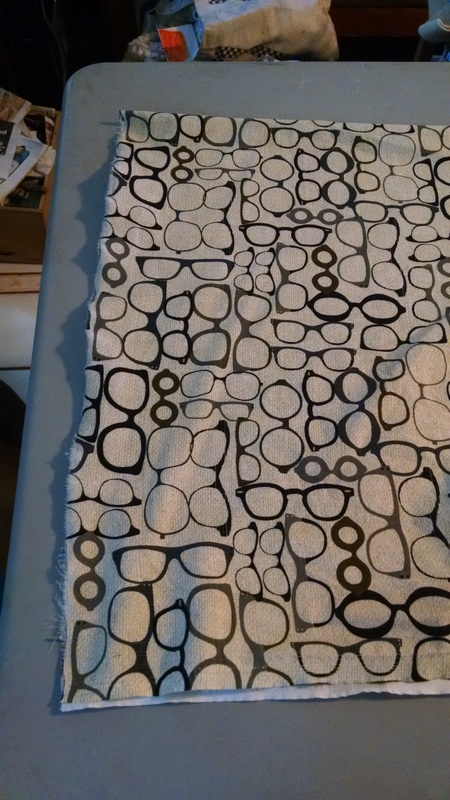 Oh, I thought I was being so clever – I cut each front piece out separately, folding back the self-facing so that I could see it matching the other front piece along the pattern line. And since this was going to be a one-day (more or less) project, I took my time while sewing. I only had to rip out one seam – got some nasty tucks while sewing on the collar. I made a point of doing things in all the right ways. The pocket went on straight and the print matched beautifully. The construction was a far more relaxing experience than I’d had in a while, with a minimum of foul language. Until I tried to line up the fronts to install the buttonholes and buttons. I’d forgotten that the fronts needed to overlap. When I’d cut the fronts out, I matched them at the folded edge of each front, not overlapped as it should have been to account for the buttonholes and buttons. ARGH!!! Fortunately, the shirt turned out okay. I’ve got something new to try on the next one – which there will be. Once I’m confident there, then there’s the windowpane-checked dress shirt I want to make for Michael. Lessons learned this time out? Remember the overlap on the fronts. Take the time to do things right not only makes a better product, it makes for a more relaxing experience. Which, if I’m really going whole hog on this introspection thing, are not bad life lessons. Thinking about how things go together makes for a better story. Or dinner. Or cleaner dishes or bathroom. Taking the time to do things right not only makes a better dinner/story/cleaner whatever, it’s more relaxing than trying to rush through just getting things done. The final product. Looks pretty good and the pocket lines up. Boy, are there ever those kinds of days. Michael says I’m too hard on myself, but I always see every single mistake. Oy. I envy you the ability to make something wearable. That skill has always eluded me! I wouldn’t be too envious. Said skill frequently eludes me, as well!